In 1851 the Lewin family of The Hollies Sidcup sold plots of land in the Bexleyheath area. 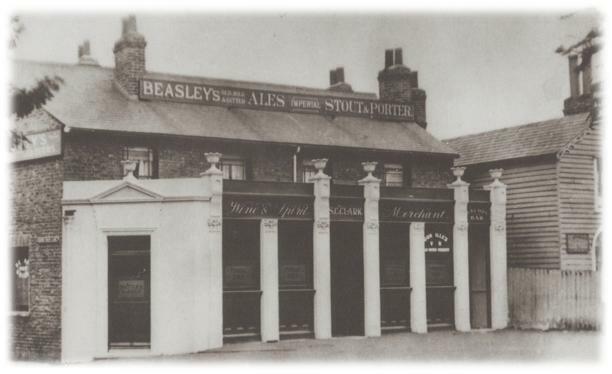 A shoemaker from East Wickham purchased three plots and in 1854 built the Robin Hood on one in Lion Road. Trade could not have been very good, because he carried on a shoemaking business from the pub. In the 1861 census the pub was just called The Robin Hood but by 1865 Little John was added to the name as shown in the rate books of the time. The story is the then licensee had a young son called John who was killed on the forecourt in front of the pub, when a dray making a delivery rolled back over the unfortunate boy. So the Little John part of the name is not from the Robin Hood legend, but that of the young son.